A Sussex man who was found guilty of threatening to kill schoolchildren will continue to be treated in hospital in secure conditions after a recent court appearance. 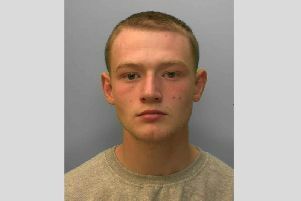 Sussex Police say 20-year-old Zachary Dunning, unemployed, of Athelstan Road, Hastings, appeared at the Old Bailey in London on Friday, September 22. Dunning had been found guilty last year of three counts of making threats to kill children at two schools in Robertsbridge. On February 3 he was given an interim hospital order, to be further assessed before another sentence was decided. At the hearing on September 22, Dunning was given an order under Section 37 of the Mental Health Act 1983, which ensures his secure detention in hospital. A Section 41 restriction order and a Serious Crime Prevention Order were also imposed at a later hearing, police said. Detective Chief Inspector David Springett said: “The priority for all agencies in this case has always been the safety of children. The Multi-Agency Public Protection Arrangements (MAPPA) system has ensured that Dunning has been properly managed throughout, and this order will ensure that he receives the right treatment while at the same time keeping the public safe – hospital is not a soft option.